Coach Joe begins this Friday Short by passing on some congratulations to his Coach Leo Totten and buddy Phil Sabatini for their performance at the recent USAW National Championships. The East Coast Gold Men placed 1st! The Women 6th and Phil, at 36 years old placed 2nd in a very competitive 94 KG men’s Class. For info on training with one of the top teams in the country click here or the links below. Coach Joe has been fielding a good many questions about programing the Sport of Weightlifting but still incorporating general fitness. The Everyday Weightlifter Program is designed to help you train the Sport of Weightlifting effectively, efficiently, and enjoyably. 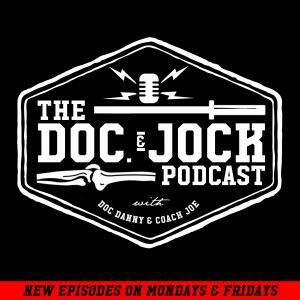 Coach Joe not only discusses how he feels the generalist should incorporate the Sport of Weightlifting but also provides the ideas discussed in this podcast laid out in a 6 week training block. To access that program simply click the here or the link below.